You Are Invited to a Birthday Party For Some Old Friends! 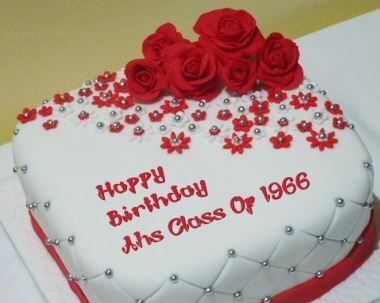 Most of the members of the Albemarle High School Class of 1966 are turning 70 this year. They are having a party and are inviting all AHS Alumni from 1960 through 1970! Music/Fun - The Vi-Dells, & the stories everyone will tell! Cost: Thanks to the generosity of classmates, the cost is just $15 per person. Since we didn't have our 45th reunion this would be the perfect opportunity to get together. Plus, didn't we have a lot of siblings, cousins and friends in the classes of the 60's? This is probably the first step in having a Classes of the 50's and 60's Annual Reunion .....let's have the most classmates there! Register Now!! · Classmate Profiles – Find out about your classmates. Many have added pictures of their family and updates on their lives since AHS. You can also send emails to many classmates directly from this page. If you haven’t signed up – find your name and register today!